Brand recognition is important to a business as it is the key ingredient in determining the return on releasing products and services to the consumer market. In other words it helps the customer distinguish your products from another company’s and helps to create value for goods and services. Synergy goes a long way, into creating effective branding for new and existing products and services. Some of the most successful brands are new spins on familiar items. One of the most primal method of building recognition for a product, company or service is through use of a logo. The identity of goods and services can be found in the selection of colors used in marketing and what the perceived and implied value of those elements mean. A logo is a symbol designed to represent the body of efforts promoted by a business, whether that be a company itself, a person, products, services or an idea. A good logo is able to communicate set values in a organized manner. Copyrighted logos are used as service marks and trademarks. Ownership of a mark begins the earliest date it is put into commerce or use. In other words to first day you use the mark to represent or present your product demonstrates implied ownership. Legal registration of a trademark or service mark can be done federally or local through your Secretary of State. My designs bare purpose to build character for products and services based on the use of keywords that highlight what the creator intends to communicate to his or her audience. 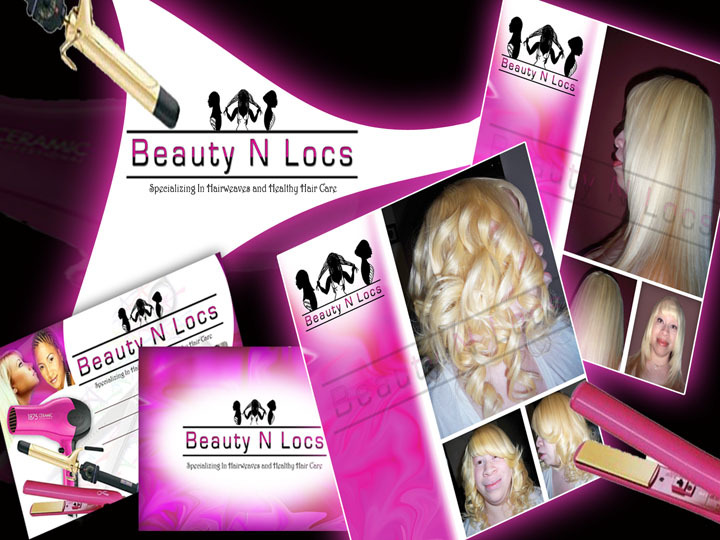 Case study for Beauty N’ Locs reveals the personality of a personal stylist looking to build brand recognition in cosmetology. Overall, your logo should be unique to your product or services and encompass what you want your audience to know about what you are promoting. Clever plays on words and effective use of icons, type, and colors can truly aid in creating a good logo.